Name this folder: AOM_DVD. This will be the name (Label) of our DVD. 2) Copy all the contents of the Age of Mythology CD2 to the AOM_DVD folder. 3) Copy all the contents of the Age of Mythology CD1 to the same AOM_DVD folder. Overwrite any files if prompted. 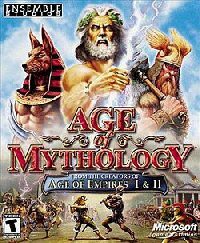 4) Download the Age of Mythology Custom Installer from HERE and extract the contents of the RAR file to the AOM_DVD folder. Overwrite any files if prompted. 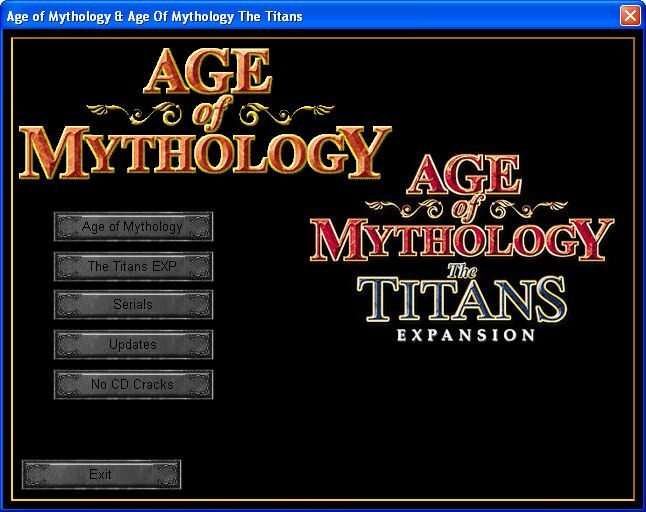 5) Copy all the contents of the Age of Mythology: The Titans CD to the AOMX folder. Inside the Updates folder are 2 folders named AOM and AOMX. 6) Copy the Age of Mythology Update to the AOM folder which is in the Updates folder. 7) Copy the Age of Mythology: The Titans Update to the AOMX folder which is in the Updates folder. Inside the Cracks folder are 2 folders named AOM and AOMX. 8) Copy the Age of Mythology NoCD Crack to the AOM folder which is in the Cracks folder. 9) Copy the Age of Mythology: The Titans NoCD Crack to the AOMX folder which is in the Cracks folder.